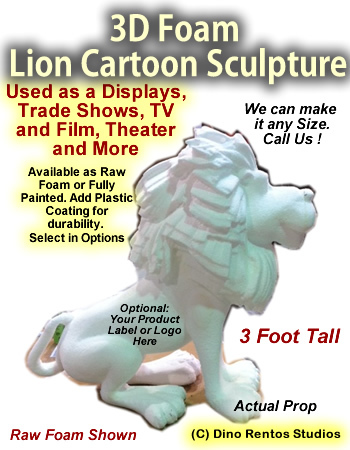 3D Foam Cartoon Lion Prop - Dino Rentos Studios, INC.
Standard size is 3 foot tall by approximately 36" wide. Available as raw foam to paint yourself or fully painted. Add plastic coating for strenght and longevity. Call for custom sizes or quantity discounts.